I am writing this column on December 26. Christmas is not even close to being over. 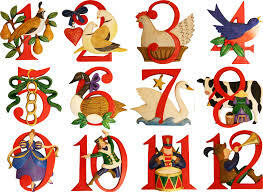 This is only the second of the “twelve days of Christmas,” which was a season a very long time before it was a song. I’m whistling in the wind, I know, but I prefer to stand with the wisdom of the centuries on this one and not with Western marketing. My little $5 tree and the lights in my humble shed behind the house will stay up until Twelfth Night, the evening of January 5. Because I’m a Christmas traditionalist, I always hate to see Christmas go. I’m also quirky, eccentric, and loving my second childhood as, I hope, I’m growing younger inside as I grow older outside. We could have sat through a million “success” seminars, strategically planned our hearts out, burned out our calculators creating fine business models, centered on ourselves in a thousand ways, and we’d never have thought of sending God’s Son from heaven and laying him in a manger. Even if we’d thought of it, we’d be as likely to start a nuclear reaction by rubbing two sticks together as to do for ourselves and our world what only God could do by his power. At Christmas, we see with a little clarity, which is far more than usual and about the best we ever muster, that everything we really need in this life is about God and from him, not us. No wonder it’s a let-down when the lights come down and the lists of resolutions go up. We were centered on God’s great symphony; now we tend to focus again on our own little performance playing “Chop-sticks” on a plastic toy piano. We were enthralled by God’s power; now the temptation is to center on ours, take back the stage, pull ourselves up by our own bootstraps, start rubbing two sticks together, and get busy trying to do for ourselves what only God can do. No matter when you take the tree and the lights down, remember the lesson of Bethlehem. In God we trust. Not in us. You’re invited to visit my website at http://www.CurtisShelburne.com! Copyright 2019 by Curtis K. Shelburne. Permission to copy without altering text or for monetary gain is hereby granted subject to inclusion of this copyright notice. Hope. One of the most beautiful of words, hope is very near the heart of this season. For me, the Christmas-singing season usually starts in earnest about the second week in December. I start listening to Christmas music sooner than that, and I’ll usually sing one or two Christmas programs earlier, but the sleigh really gets moving in that second week. And whenever I sing those songs, at the center of the music is hope. I hope I won’t mess up by forgetting the words or, worse, playing fast and loose with the pitch. I hope nobody’s ears will begin bleeding before I’m done. I hope nobody will throw anything. But the hope I have in mind is much deeper than that. From the time I set up the equipment, climb onto the stool, and start filling the mike, it is hope itself that I really want to start flowing from the speakers. I know that sad songs have their place in this world. I’ve not forgotten that the writers of the Psalms at times wrote songs of lament. 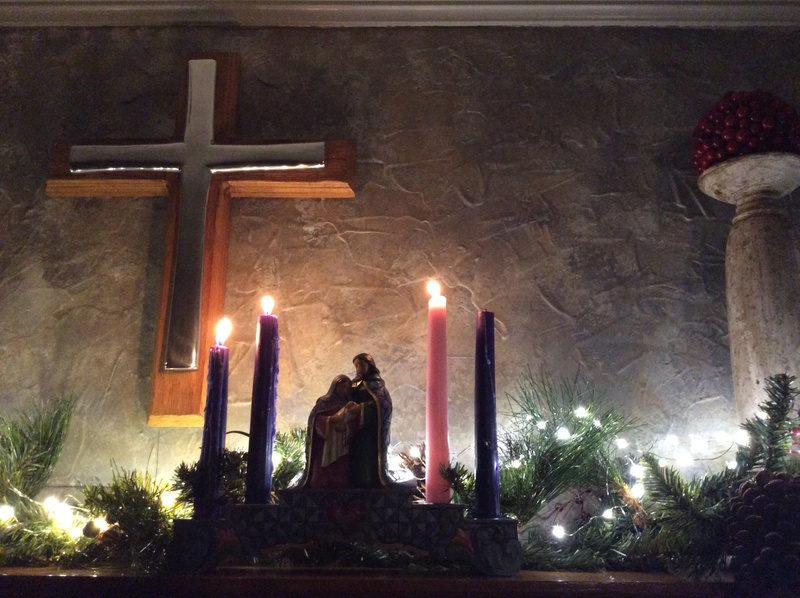 Even as we sing “O Come, O Come, Emmanuel!” we know Christ comes as our ransom; a heavy price will be paid. But we still sing his coming, and our tears are mixed with joy and sorrow, sorrow and joy. You see, sad songs and hopeless songs are not the same. The “psalms of lament” always end on a note of hope: “We cry now, and for very good reasons. Hear us, O Lord! But we know where to bring our tears, and we know who will wipe them away. We know that joy comes in the morning, and we know from whence it comes!” In that is real hope, and genuine hope is always stronger and longer-lasting than meaninglessness and despair. If you want to find a “singer” to continually wail about the ugliness of life or wallow as a victim and scream about life’s unfairness, spreading bile and accusation and even filth, you’ll need to find someone with no hope. Sadly, they’ll not be hard to find. Hope is my reason to sing, and nothing is more hopeful, more joyful, more full of love, than the Child who entered our world in that tiny form at Bethlehem. If His light is within us, then every twinkle on every tree, or glimmer of every icicle, or sparkle of every child’s wide eyes bears witness to Bethlehem’s eternal joy. Sometimes during a Christmas performance, I’ll introduce and sing some special songs, some (I hope) beautiful music perhaps new to my listeners’ ears to help them see yet other glimmers of His hope and joy, and that’s fun. Sometimes I’ll talk to an audience about a song they’ve long known and tell them its story that they probably didn’t, and then I’ll sing it anew. And so I sing. You’d be surprised how easy it is to watch and revel in the hugs and smiles, laughter and warmth, hope and joy, to be thanking God for the blessing of filling these ears, and still be singing. The trick during those times is to let the music waft through unobtrusively, to sing mostly what they know and delight to welcome back, the old song-friends that hold hands with this Christmas and sweet Christmases before. They have a common Ancestor, these Christmases, singing His song of hope in His every son, every daughter. You’re invited to visit my website at http://www.CurtisShelburne.com! And Merry Christmas! Copyright 2018 by Curtis K. Shelburne. Permission to copy without altering text or for monetary gain is hereby granted subject to inclusion of this copyright notice. Thank God for Shepherds and Stargazers! Thank the Lord for shepherds and stargazers! While muckety-mucks in Rome were trying to figure out new and improved ways to shake even more shekels from the pockets of the subjugated populace and further filch the meager bread of the common man, the Highest of Kings was pretty much ignoring Rome. The most powerful of all earthly kingdoms was less than nothing compare to His. The true King was dispatching a troop of angelic hosts, any one of whom would be stronger than an assembly of all of Rome’s best troops, to appear before shepherds. Yes, shepherds. Minimum wage kinds of folks Caesar would have completely ignored if he hadn’t wanted them on the tax roll. And isn’t that just like the King in whose kingdom the janitor waxing the floor and whistling “Amazing Grace” could easily be a wealthier man and a truly mightier citizen than the CEO scurrying off to attend yet another “success” seminar, completely unaware that the janitor he bumped in the hall has already found success and could teach him where to find it if he’d stop and listen and learn? But he doesn’t have time to stop. Or to learn. And don’t forget the stargazers, the night sky watchers with their faces turned upward focusing on another sort of heavenly host while Rome’s bean counters had their noses buried in ledgers, figuring taxable income, gross national product, and formulating plans to try to squeeze twice as much work out of tired employees for half as much pay. Bureaucrats never change. You can be sure they were looking for ways to further complicate anything they could “improve” that had once been simple, and struggling with such momentous questions as whether shepherds and bakers both had to file the same Form CCLXI-revised or if Form CCLXI-EZ would do. At Bethlehem, God reminds us that almost everything we take for granted about power and prestige, success and status—not to mention “generally accepted accounting principles”—in the kingdoms of men is in God’s kingdom beautifully, wonderfully, delightfully, topsy-turvy if not altogether ignored. Yes, indeed. Thank God for shepherds and stargazers! Copyright 2017 by Curtis K. Shelburne. Permission to copy without altering text or for monetary gain is hereby granted subject to inclusion of this copyright notice. 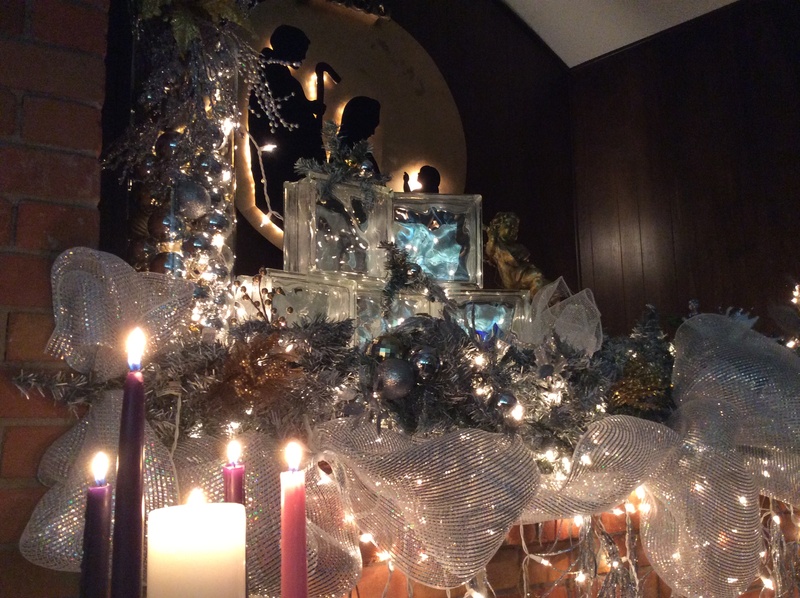 “On the 8th Day of Christmas” God Gave to Us–A New Year! New Year’s Day and I have long had a rather dicey relationship. I think the relationship started a bit of a downward slide right about the same time my theology began to make some much-needed movement in an upward direction. God’s “good news,” the gospel, is the best news of all because it centers in what HE has done through Christ, not what WE have done. The gospel is not just another of humanity’s dreary multitude of self-improvement programs. God’s grace really is amazing. If we could earn it, it would not be grace. And not even close to “amazing.” Just business as usual in this world. What we’ve just celebrated—what happened in Bethlehem—is all about something that only God could do, something that our Creator, out of amazing love, actually did. It’s an incredible gift! It is for us, but it could not by any stretch of the imagination be produced by us. We can’t create it; we can only in joyful humility accept it. Christmas centers on the most amazing gift of the Father, the Baby miraculously sent from Heaven and into this world at Bethlehem. New Year’s? Well, sparklers and a man-made fake crystal ball mechanically winched down at Times Square seem a bit anticlimactic since God has already come down! Now THAT was an event! But wait a minute! I’m preaching straight to me when I say that our Lord specialized in taking the ordinary and making it extraordinary. Water to wine, remember? What if, as the new year dawns, we ask our God to help us open our eyes and focus on the amazing ways He makes every day, every moment, holy, as we receive each of our days, each of our breaths, as gifts from Him? May this new year be filled with such days, such times, in our lives! What Does Christmas Really Mean? Christmas is choosing for a change to take a look through the right end of the telescope and thrilling to the sight of God’s work written large rather than cringing before a universe shrunken, shriveled, and constricted, bounded on all sides by the nearsighted view of mortals almost as blind and dull as me. Christmas means that the real question is not, “What must I do to be saved?” Not such a bad question for a jailer back in Philippi scared stiff about losing his head because of almost losing his prisoners (Acts 16). But the far better question for me is, “What has God already done to save me?” Christmas means finding that answer all wrapped up in swaddling cloths and lying in a manger. Christmas means bringing the most precious of gifts to the Baby King not to enrich or impress him or add to the net worth of the One who owns the cattle on a thousand hills and who gives me the gift of my every breath, but simply because I love him and want to joyfully place before him the best that I have. Christmas means finding a fleeting moment of sanity when I’m less full of myself and more filled with Heaven as I focus not on me but on the God of all life and joy. Christmas, for me, is realizing that the wonderful writer G. K. Chesterton discovered something as important as the law of gravity when he wrote, “Angels can fly because they take themselves lightly.” It was through pride, he wrote, that Satan fell, and “the very skies were cracked across like a mirror, because there was a sneer in Heaven.” Christmas means that sugar plums always win over sneers, that the deadly self-serious always crash and burn, and that angels aren’t the only ones lifted into flight by Joy. Christmas means that though you may get a tiresome tax form in January, all you have to do is look up on a Yuletide night to see that Bethlehem always beats Caesar and that the twinkling tinsel of Heaven’s stars all point forever to the One brightest, the One eternal. Copyright 2016 by Curtis K. Shelburne. Permission to copy without altering text or for monetary gain is hereby granted subject to inclusion of this copyright notice. The Father’s First Birth Announcement Goes to . . . 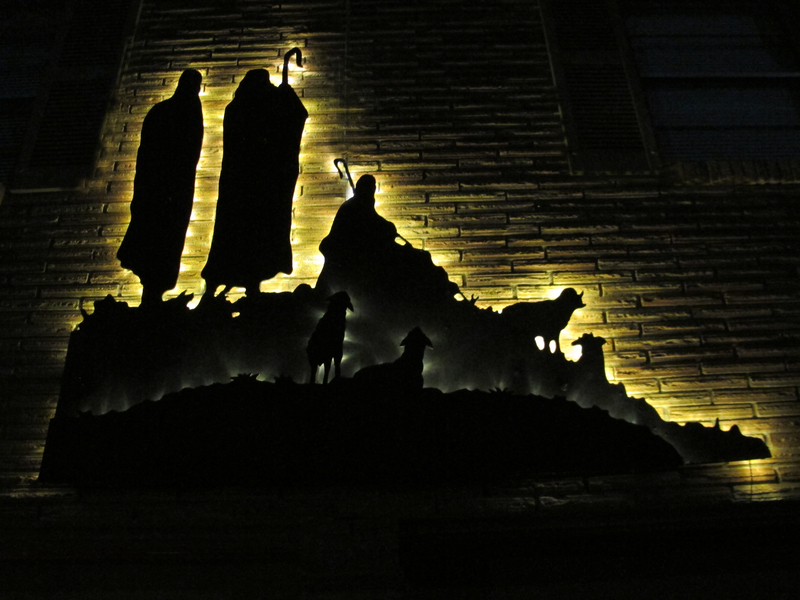 This Christmas I find myself wondering, yet again, about those Bethlehem shepherds. It’s possible, of course, that the Almighty chose these particular sheepherders as recipients of the angelic birth announcement of his Son because they were a sheep-shearing cut above the other sheep guys in the region. Maybe they were better-dressed than most, draped in new camo robes ordered from Zimfela’s Catalog complete with Velcro-secured mesh pockets for their ZX-7 night vision sheep-finding goggles. Perhaps they were unusually prosperous shepherds, the sort who could afford a clean-robe-a-day laundry service; hence, if you were downwind and one was headed your way, your first clue would be visual or auditory, never olfactory. Maybe, before entering any respectable domicile following their shepherd shift, they were careful to switch from their field sandals to high-dollar Habakkukstock footware lest they track in . . . something. It’s even possible, I suppose, that the Lord God chose these particular fellows because they were unusually educated and articulate. Perhaps a couple or three of them were actually Aramaic majors who’d had a hard time finding lucrative employment after college but at class reunions, even though they were less well-sandaled than their Business major classmates, could take solace in the fact that they understood more about the meaning of life. Or maybe the Creator chose them because they were, against all stereotypes, remarkably religious sheepherders. Sure, their work made it hard for them to attend worship services in town, but they never failed to hold regular devotionals during each of their shepherd shifts. Granted, it had been a bit more complicated since zealous young Zebulun, on vacation a couple of months ago, had wandered into a trendy mega-synagogue in Jerusalem. Now they were holding two devotionals an evening, one traditional and the other contemporary. I suppose all of that is possible. But if you’re selling it (which is unlikely), I’m probably not buying. What I really think is that our Father who brazenly, scandalously, seems to prefer ordinary folks over the boring and tedious, plastic and air-brushed, hang-your-own-halo, pull yourself up by your own bootstraps, super-spiritual crowd (always religiously first at the scene of any crucifixions)—chose these guys to be first at the scene of his Son’s birth precisely because they were . . . wait for it . . . ordinary. I have no beef with these shepherds. Far from criticizing our Father’s choice, I find it laugh-out-loud delightful. The heavens were torn open. The angel announced. The heavenly host sang. To an audience of guys who smelled conspicuously like the south ends of north-facing sheep, to gents whose manners and language were far from genteel, who were quite capable of describing recalcitrant sheep in colorful terms, and who’d heretofore been most likely to find angels only at the bottom of a wineskin. For that Bethlehem birth announcement, God chose shepherds! Ordinary folks. Like us. Can you imagine anything more extraordinary?! You’re invited to visit my website at http://www.CurtisShelburne.com! And . . . Merry Christmas! 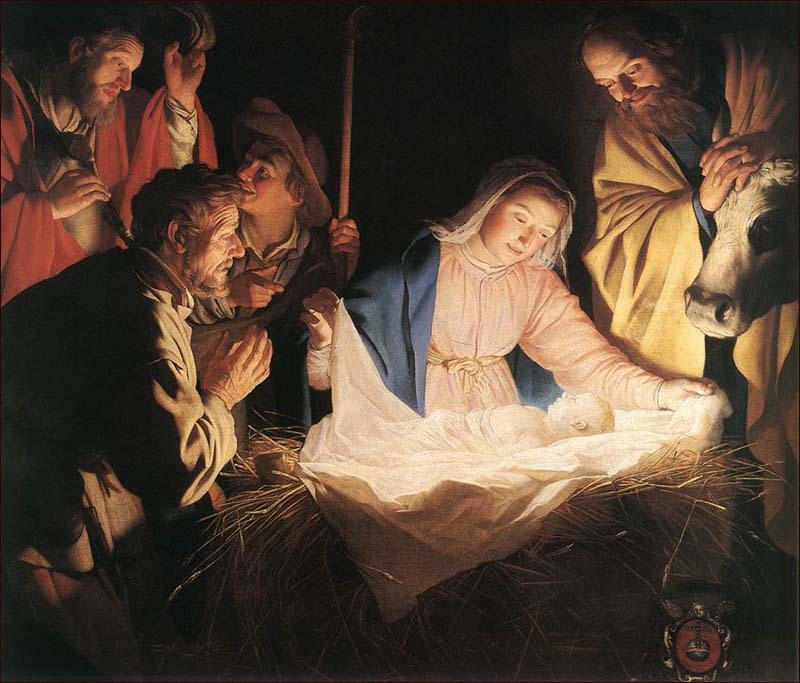 In some ways, the world just a few moments before the birth of Jesus in that Bethlehem stable was almost exactly the same as the world just a few moments after his birth. The state of the stable, and the inn out in front of it, and Bethlehem, and Judea, and Rome, and the whole wide world, was pretty much the same. As they say in the military (well, sort of as they say), it was one big SNAFU. The Situation was absolutely Normal. It was All Fouled Up. The government was pretty much like governments have always been—happiest when people are standing in long lines getting crunched by bureaucracy and about to be burdened by one more tax to keep the crunching wheels crunching. Joseph’s probably been working his fingers to the bone trying to make a living, and now he gets to take days and weeks and maybe even months off—all of which is death to productivity and income—so the bureaucrats can fill out one more form with his and Mary’s name on it. Now he’ll have more taxes to pay and less money to pay them with. Nobody’s more effective than the government at keeping really small businesses—say, a carpenter shop—really small. Actually, all of this stuff with Mary had pretty well sapped him lately of much ability to concentrate and work very effectively anyway. First, he was so shocked and perplexed that he didn’t know how to feel. Then he was worried sick. And then he got the visit from the angel. Yes, that was a wonderful thing, a marvelous comfort, an amazing experience. But if you think seeing an angel, even one with good news, isn’t incredibly unsettling, it’s obviously been a day or two since you’ve seen one. Then the tired carpenter gets to make the trip to Bethlehem with his very pregnant wife who is simply exhausted—not to mention enormous and well along toward D-day, by the time they get there. No cheap tickets left on Mideast Airlines. No tickets at all. So they get to go by donkey (which hospitals’ O.B. departments ought to keep tied out by their parking lots; they’re cheaper than I.V.s and Pitocin and are pretty much guaranteed to get things going). Mary’s just about had it (literally), but they get to the Bethlehem Inn, and the place is overbooked. They end up stuck out in the stable, stomping around in the straw (which Joseph knows will have his allergies in full bloom before you can say Gesundheit!). And then Mary’s birth pains are becoming very regular. Even first century folks don’t need the New England Journal of Medicine to tell them what that means. This baby is coming! And he’s coming right here, right now, “ready or not, Joseph!” in barn straw that was the real thing, not sanitized stuff for a manger scene. The situation in the world and in that Bethlehem stable that night was normal—the same as usual in many ways—fouled up with lots going wrong. But with the Baby’s first cry, the world would never be the same. And God was making sure that one day, all that is wrong with this world could be made right. You’re invited to visit my website at http://www.CurtisShelburne! If you’d like to purchase some music, or just listen to some–hey, there’s lots of Christmas music there–you’d be welcome! And a Christmas special is . . . any combination of three CDs for $35 plus shipping. Email me at ckshel@aol.com or use the contact form on the site if you’d like that “special” discount! Merry Christmas! What Happened to Those Christmas Shepherds? Last night at home our decorations started coming down. This evening we’ll pack away more of the seasonal beauty as our sweet, warm little church will be undecorated and, for a few days, uncharacteristically depressing. The midwinter is never bleaker than after Christmas. I’m a winter guy in love with snow (not blizzards) and fireplaces, good books and sweaters. But I always hate it when the Christmas lights go out. I plugged in our tree this morning for its last hurrah. When I pull the plug, I will be officially, once more, as far as I can get from Christmas. Rats. My thoughts now, not very “Christmasy,” are nonetheless about Christmas events. I’ve been thinking about those Christmas shepherds. “Christmas” shepherds they certainly were. It’s not hard for me to imagine other shepherds who might have found illusory angels at the bottom of wineskins. But these were, I’ll wager, the only shepherds this world has ever seen whose eyes were blinded by angel light and whose ears were filled with angel song. The only shepherds angel-sent to find God’s baby Son cradled in a feed trough in Bethlehem. I wonder what they did with the sheep, but when these sheep-herders paid attention to the angels that lit up the skies, they traveled light to Bethlehem, unburdened by any need to be the most religious of the religious, or more “right” than is healthy or happy. They were not power-dulled CEOs of the corporate sheep pen. Just run of the sheep mill shepherds. Good for them. These guys are easy to like. To Bethlehem they went. To the stable. Look in the manger they did, and they found the wonder-full thing they were seeking. What I wonder now is what came after. What happened in the hearts of the shepherds when the angel skylights faded, when that first Christmas was over, and when they went back to their fields? They’d seen, heard, received, experienced, “good news of great joy.” What lasting difference did the Light of that one night make in their lives once they were back for days and months and years watching witless sheep in the dark? I’m asking about the shepherds and the difference Christ’s coming made in their lives. It’s far too daunting a question for me to ask of the mothers of Bethlehem whose baby sons King Herod would murder when he heard of that same coming of the real King. Somehow, if the angels’ message really is good news of great joy, it has to be such deep and real joy that it lasts when decorations go back in the box, angel lights in the fields fade out, shepherds get old, and even—it breaks my heart to think of this—when babies’ mothers mourn. If the Light that shines is real light, it has to shine brightly in the darkness, as far as you can get from Christmas. If it does, and only if it does, God’s coming is never as far away as it sometimes seems. Those are the words emblazoned across the gift bag I just puttered past in our bedroom. And so it is, this great season of Christmas. A season when hope takes center stage. And, sorry if this is picky, I really do think the season is a good deal more hope-full when we realize that it’s a season, not just a day that ends on the last gasp of December 25 and vanishes once the wrapping paper hits the floor. (Google it. Many centuries of history are on my side.) It’s a season that begins on the Day and runs for twelve days. Hence the song. Go with Madison Avenue if you want to. Trot out Christmas decorations for sale sometime around the end of August, run up to a fever pitch, jump off the cliff, and jerk to a stop at the end of your rope sometime by about noon on December 25. Then Christmas goes back in the box (or the attic or the garage or . . .). The poor partridge gets shafted. More to the point, we tend to miss the point by getting the cart before the horse. If Christmas is just about Santa and Rudolph (I’m on good terms with them both), it doesn’t make much difference when we jingle the bells. 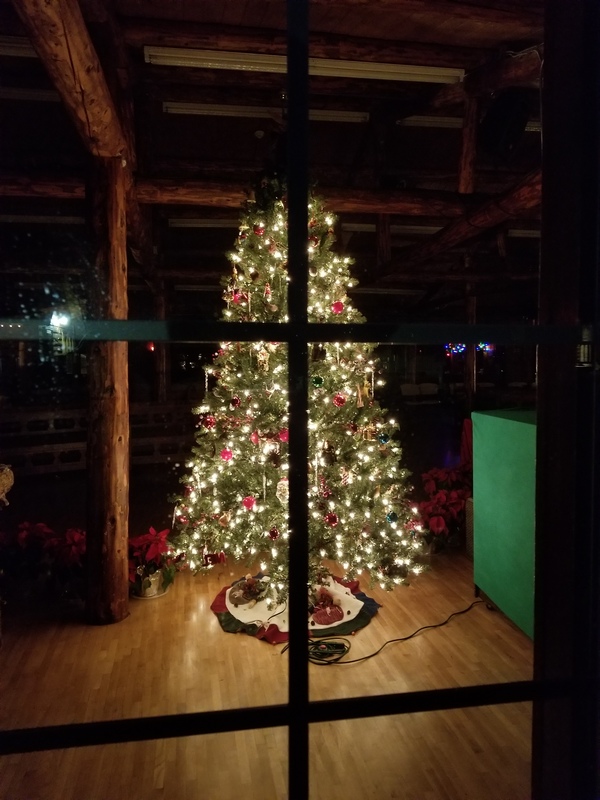 But if Christmas really centers on the coming of the One whose name this good season bears, then the wisdom and practice of the ages can come to bear quite nicely and bring in some real blessing. Strange how often, having forgotten the past, we rediscover wheels that have been rolling along for centuries. A “wheel” called Advent (from the Latin “adventus,” meaning “a coming,”) a time for preparation and repentance (and historically even, brace yourself, some fasting, though I’ve not tried that part) before the celebration of Christ’s coming has roots as far back as the fifth century and a history many centuries longer than our “box the whole thing up at the end of Christmas Day” practice. Oh, I know. This very old practice might seem a little nutty and new if you’ve never heard of it. If anyone in the church where I grew up had mentioned such, we’d have been sure they were conspiring to stick our church key in an envelope and mail it to the pope. Ah, well. Now, it seems, lots of Christians from lots of traditions are discovering that a little preparation before the season is not nutty or eccentric at all. It makes very good sense. New it’s not. All to say, Christmas is a season, not just a day. And here’s the real point: It centers on hope that mankind could not engineer in any season and only God could give. Not a single spark of the light he brought into this dark world at Bethlehem, light that shines most brightly even in darkness, comes from us. It’s his gift, completely undeserved. Is Christmas a season? Yes. Of hope? Oh, yes! Copyright 2015 by Curtis K. Shelburne. Permission to copy without altering text or for monetary gain is hereby granted subject to inclusion of this copyright notice. That’s what some of my kids called me the other day. It’s a world-class compliment, and I way more than halfway hope they’re way more than halfway right! But surely it’s far too strong a statement. No borderline blasphemy is intended. There’s only one King of Christmas. But, loving him, I do indeed love this time of year! I’ve found that the more my hope is centered on the real Reason for the season and the more I focus on that marvelous mystery—“The Word became flesh and dwelt among us”!—the brighter seem all the lights and candles, the taller and more verdant the trees, the more beautiful and soul-stirring the music, and the more brimful of joy are all of the sights and sounds of Christmas. Yes, the season may lend itself to excess, and it is often twisted and misused by those desperate for artificial joy. But that a very good thing can be badly debased does not rule out its being a very good thing. Quite the opposite! Satan is far more keen to besmirch the truly beautiful than ever he would something of much less worth. Those who fear wholeheartedly celebrating Christmas as honoring Christ’s coming, lest the celebration become an idol, may fall to the greater danger of refusing a deep blessing from the hand of the true God. 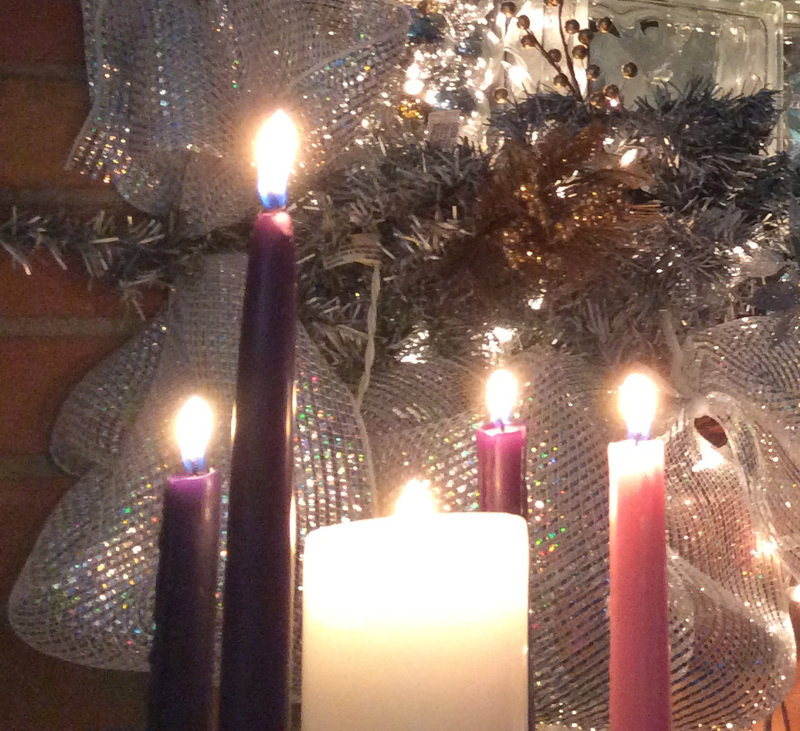 As his coming truly blesses us, so may a true and good-hearted celebration of his coming. But it is odd, isn’t it, that those who, for whatever reason, adopt old Ebenezer Scrooge’s opinion of the season (“Humbug!”) come from such diverse camps. Some who are irreligious are suspicious of anything that purports to be of Christ. Some whose politically correct “spirituality” is largely a matter of wispy feelings and vapors are afraid of celebrating a season that bears Christ’s name so particularly. I’d have thought our buying so many Christmas trees from China, many of which I suppose are made by Buddhists whose religion bears another name particularly, would have made the PC folks feel better. But no. It’s the name of Christ that particularly bothers them. No, for centuries people have found all sorts of reasons to oppose Christmas and decry its celebration. Some most stringently opposed have been those who wear Christ’s name but, wedded to the stone cold tablets of law they call their religion, won’t allow themselves to love anything that smacks of joy and color, fiery warmth and full-to-overflowing life. After all, the joy of God’s Spirit is uncontainable and unpredictable. Where might such lead? Freedom can be quite frightening! Oh, but it is also beautiful! May the God enfleshed at Bethlehem also beautifully inhabit our souls anew in this sweet season, and may we honor the true King of Christmas with hearts fully open to his joy. 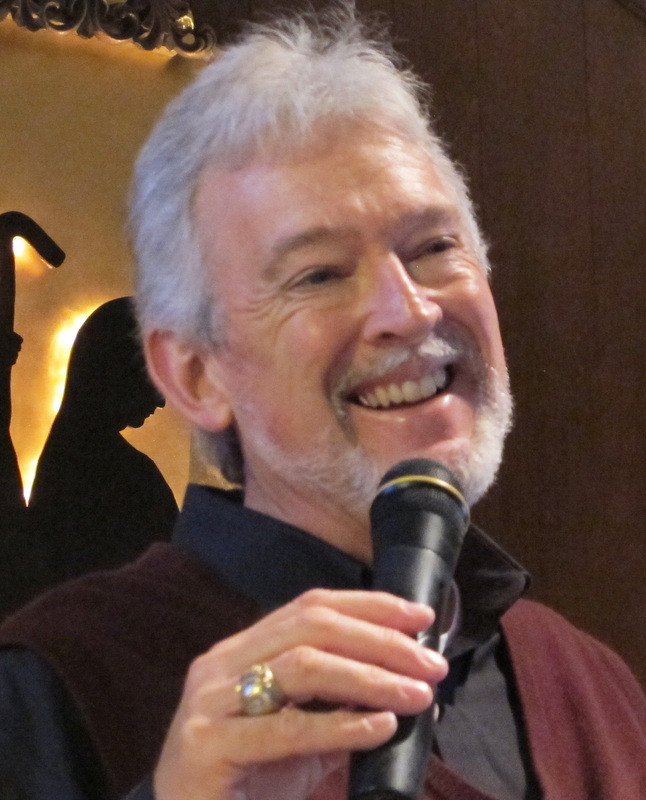 You’re invited to visit my website at http://www.CurtisShelburne.com! Blessings to you for a wonderful and joy-filled Christmas! Merry Christmas! Copyright 2014 by Curtis K. Shelburne. Permission to copy without altering text or for monetary gain is hereby granted subject to inclusion of this copyright notice. Thank God When We Avoid “What Might Have Been”! Two Men. Two Failures. Different Tears.